Arab site reports that US diplomatic plan will be presented on May 15. Participating countries: Egypt, Jordan, Saudi Arabia and UAE. 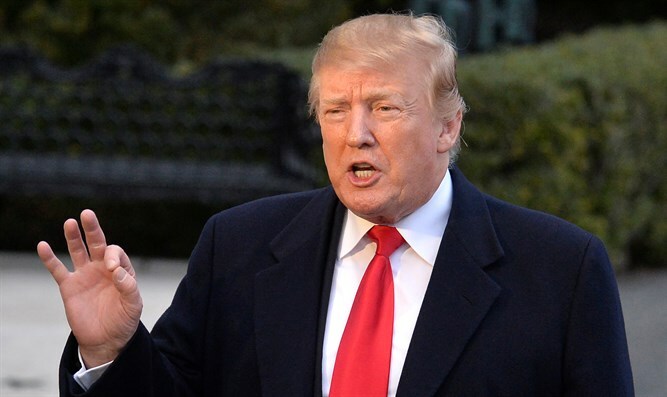 The Arab website Al-Khaleej Online reported Thursday that US President Donald Trump is expected to present his “Deal of the Century” on May 15. This date is also the date on which the Arabs in Israel mark the so-called “catastrophe” of the establishment of the state as “Palestinian Nakba Day.” According to the report, Trump has completed all preparations for the deal, including approvals for funding from other Arab countries to ensure the economic side of the deal. According to estimates, the Arab countries that will be partners in the deal are Egypt, Jordan, Saudi Arabia and even the United Arab Emirates. A senior Hamas official said that "setting the date of the declaration on the anniversary of the Nakba is a slap in the face to all those who still see America as a fair mediator in resolving the conflict." Arab commentators and officials warn their peoples that Trump's deal will be the “elimination of the Palestinian dream” and will include an Arab "concession" of territories for the benefit of the State of Israel. As reported by Arutz Sheva, it is estimated that the deal includes land swaps between Jordan, Saudi Arabia and Egypt and economic aid to Palestinians by Saudi Arabia and the United Arab Emirates. According to a draft agreement that was revealed in the book “Kushner Inc,” during the deal, Jordan will give land to the Palestinians, and in return it will receive territory from Saudi Arabia. Egypt will return to Saudi Arabia two islands in the Red Sea which the latter gave to Egyptian administration in 1950.